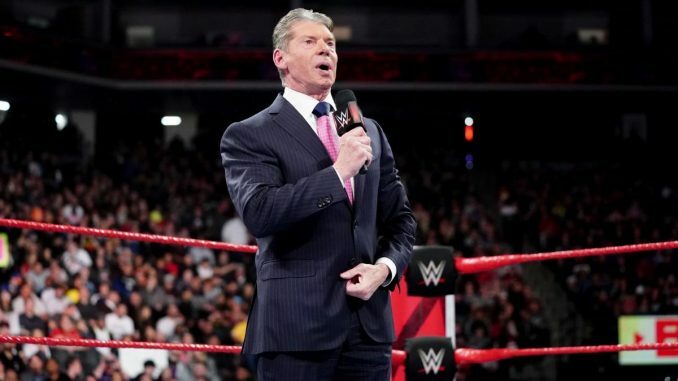 Vince McMahon's return to Raw leads to a three-month high, notes on the NXT call-ups, Kevin Owens and Sami Zayn, Bandido signs with ROH and more. **First off, I wanted to thank Wai Ting and Nate Milton for covering for me on Monday night. I got very ill after Sunday’s show and couldn’t do Rewind-A-Raw. I appreciate all the messages as well, it means a lot. I’m much better today and will be doing tonight’s shows with Wai. **We will have a new Rewind-A-SmackDown up late tonight with Wai and I going through the latest news and a review of SmackDown. We will also have a new Double Shot out for members of the POST Wrestling Café. On the Double Shot, we will review the latest episode of Being the Elite, the Becky Lynch “Chronicle” episode, and discuss Saturday’s tag match with the Golden Lovers vs. Hiroshi Tanahashi and Will Ospreay from Korakuen Hall. **Our BEST OF 2018 SHOW will be coming out Friday and will be a free show. We are going to stream the show live Wednesday night at 9:30 pm Eastern for Double Double, Iced Capp and Espresso members of the POST Wrestling Café. The live stream on Wednesday will be taking the place of this week’s Café Hangout. **A reminder that the deadline for the Christmas Jingle Contest is Thursday at 11 am Eastern. Submissions can be posted in this thread on the POST Wrestling Forum or emailed to john@POSTwrestling.com. **Monday’s episode of Raw was promoted around a “shake up” and the return of Vince McMahon. The result was Raw posting its highest viewership since September 17th with an average of 2,547,000 viewers watching the three-hour show. The program opened with the McMahon family and led to the first hour averaging 2,717,000, which was way up from the opening hour over the past two weeks. The show fell to 2,558,000 and 2,367,000 in the third hour. The Monday Night Football game between the New Orleans Saints and Carolina Panthers did 13,006,000 viewers and was the highest Monday night game since November 19th. Cena has stated none of his appearances will be not be televised, so that would indicate he is only scheduled for dark matches at the January 7th and 14th Raw tapings. **The WWE finishes up an insane three day stretch with a double taping of SmackDown tonight from the Save Mart Center in Fresno, California. They will be taping next week’s episode for Christmas Day along with 205 Live so it’s going to be a marathon taping. This follows the TLC pay-per-view Sunday and Monday’s tapings in Sacramento where they taped the Christmas Eve edition of the show immediately after the live broadcast. The crew gets a much-deserved break until December 26th after tonight’s tapings where the post-Christmas house shows begin with live events at Madison Square Garden and the Allstate Arena in Chicago. The post-Christmas shows are among the biggest weeks of the year for the company. **Lacey Evans, EC 3, Heavy Machinery, and Nikki Cross will join Lars Sullivan as the latest call-ups from NXT. We have been told these are the only planned call-ups for the time being. They were looking for call-ups that have strong characters and wanted to leave certain talent in NXT that would be able to sell tickets for the touring shows. There are lots of people in creative who would love to have the top names in NXT on the main roster but ultimately is not their call. **It was announced on Raw that Kevin Owens and Sami Zayn will be returning from injury soon. Zayn has been out since June following surgery on both his rotator cuffs, while Owens required surgery on both his knees. **It was first reported by Lucha Blog that Bandido has signed a full-time deal with Ring of Honor. I was told about ten days ago that he was headed for Ring of Honor. When I checked up on it, I was told that an offer was on the table, but he hadn’t signed as of last weekend. The WWE did make an offer for him, but ultimately, he went with Ring of Honor, which indicates ROH is making solid offers to lock up new talent. Bandido would be among the top names any promotion would be after, especially All Elite Wrestling. Bandido joins PCO and Brody King, and it’s also expected that Zack Sabre Jr. and Juice Robinson will be doing more ROH dates in 2019 as the company restocks their talent pool after the departures of the Elite. **Kaito Kiyomiya won the GHC heavyweight title from Takashi Sugiura on Sunday’s NOAH card from Yokohama. Kiyomiya becomes the youngest champion in the promotion’s history at the age of 22 and a clear sign they are catapulting him into main event status following his Global League tournament victory. NOAH had four title changes on the Yokohama card with Maybach Taniguchi and Yuji Hino defeating Katsuhiko Nakajima and Go Shiosaki for the GHC tag titles, Daisuke Harada won the GHC junior heavyweight title from Kotaro Suzuki, and Hitoshi Kumano and Hajime Ohara defeated Minoru Tanaka and Hi69 for the GHC junior heavyweight tag titles. **Kaito Kiyomiya’s first title defense will be against Kenou on January 6th at Korakuen Hall, which is the after New Year’s Dash at the same arena. The January 6th card will also feature Maybach Taniguchi and Yuji Hino defending the tag titles against former champion Katsuhiko Nakajima and Go Shiosaki. **Steve Austin turns 54, Rob Van Dam turns 48 and Trish Stratus turns 43 today. **Friday’s Bellator 212 card from Hawaii averaged 285,000 viewers on the Paramount Network. This was their first of two cards from Honolulu over the weekend. Friday’s show was headlined by Michael Chandler defeating Brent Primus to regain the lightweight title and Javy Ayala defeating Frank Mir. **The WWE stock rose 3.2% on Monday and closed at $73.56. **Todd Martin looks at the UFC’s seven-year relationship with Fox following their final network card this past weekend. Vince McMahon returns to the show to announce the new leader of Monday Night Raw, Baron Corbin receives a final chance to become Raw GM, Dean Ambrose and Ronda Rousey issue Open Challenges, and a number of NXT call-ups are announced on this “new” and “fresh” edition of Raw. John Pollock and WH Park chat the legacy of Tom “Dynamite Kid” Billington, the New Japan & All Japan tag tournaments, WH’s Year-End Awards and more. Episode 26 sees Chris Charlton and Juan Torres from The Lion Marks look at 2014. NJPW have a grandiose card with spectacular entrances, Great Muta has his last Tokyo Dome match, and a controversial poll sees Hiroshi Tanahashi and Shinsuke Nakamura edge out Kazuchika Okada and Tetsuya Naito to take the main event spot.